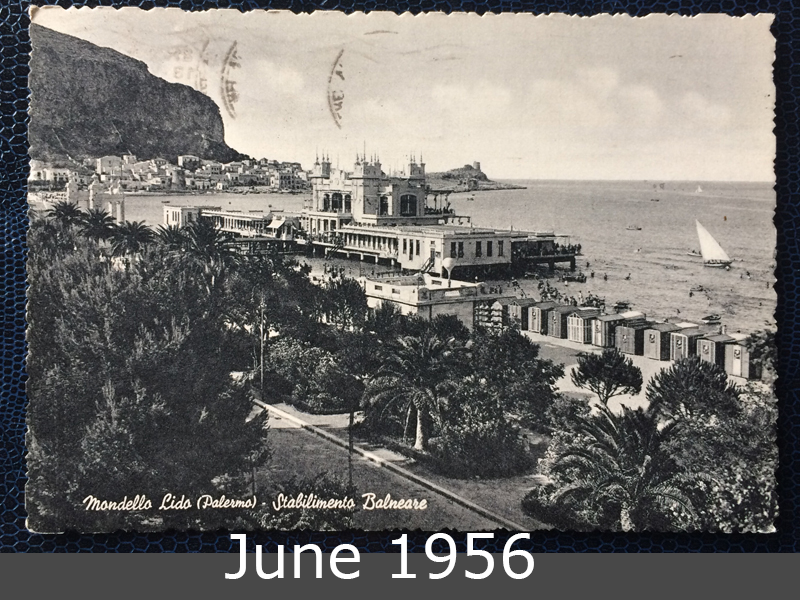 Mondello Lido near Palermo seems to be a wonderful place for relaxing. I never was there, but dream to be there. 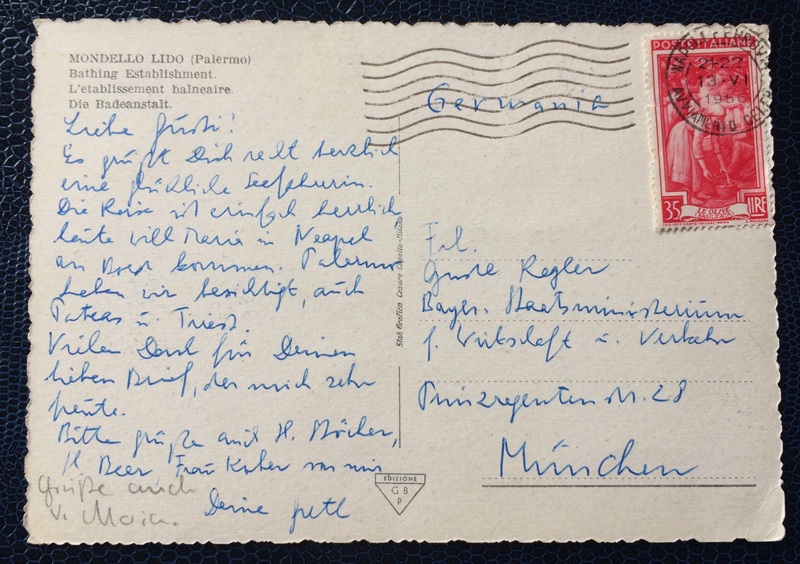 This postcard was stamped in June 1956 in Napoli and goes to Munich.